This beautiful newly renovated home is the perfect place to unwind after a great day of exploring the Brevard area. 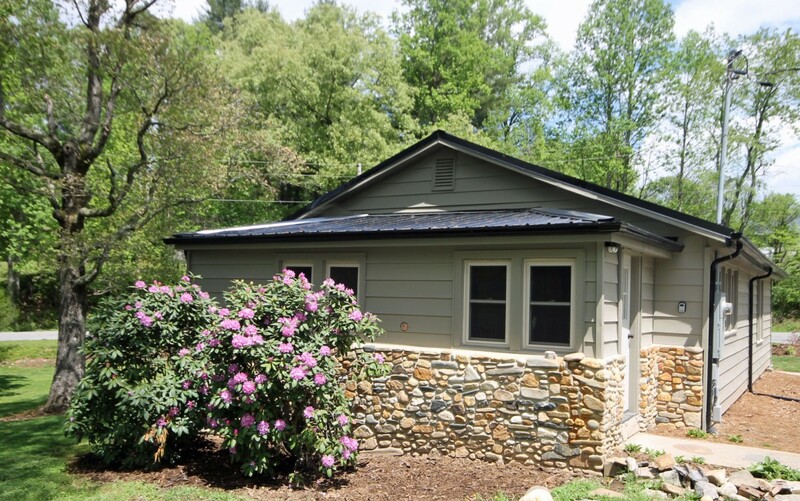 Everything about this house is newly renovated and it's the perfect mountain getaway. Lots of space in the living area to relax and unwind. Everything you need for preparing your own meals. A cozy bed is the centerpiece of this beautiful bedroom. The second bedroom is perfectly arranged for maximum comfort. 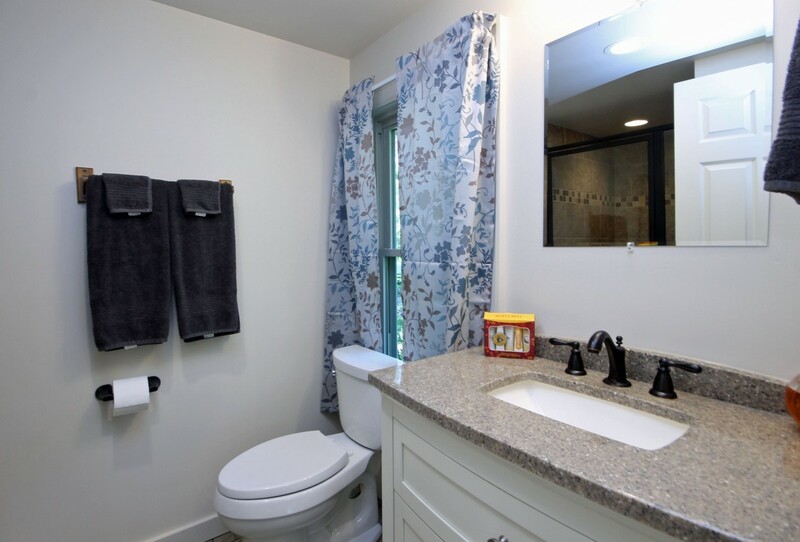 The master bath features granite, a tiled shower and all new fixtures. 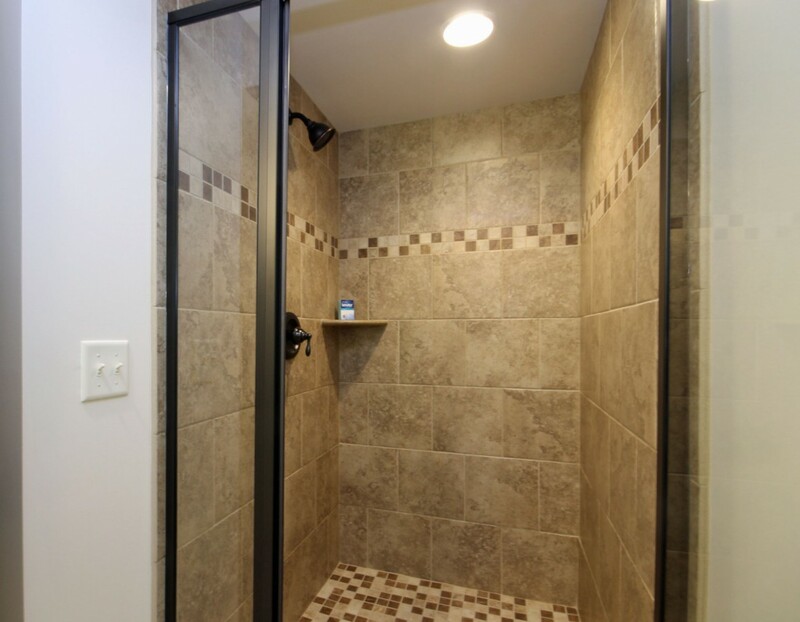 The tiled shower in the master bath is a real pleasure to use. 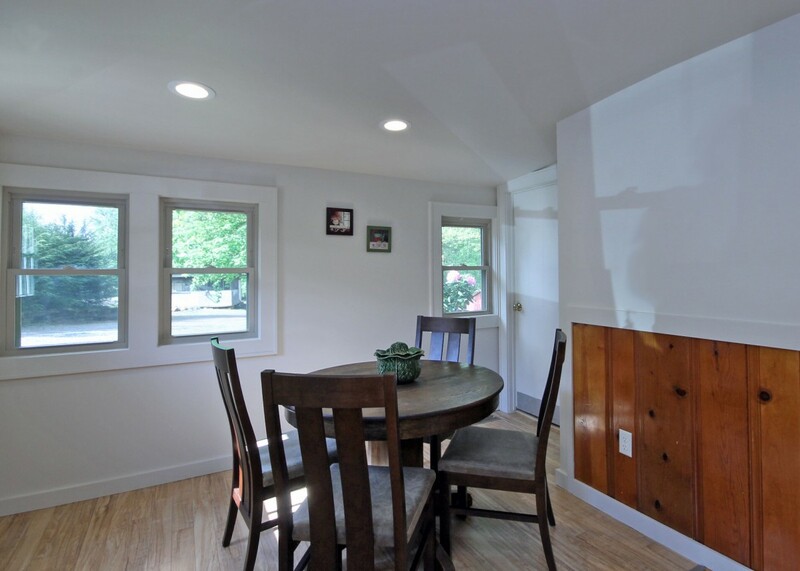 All the rooms in this house have lots of natural sunlight. 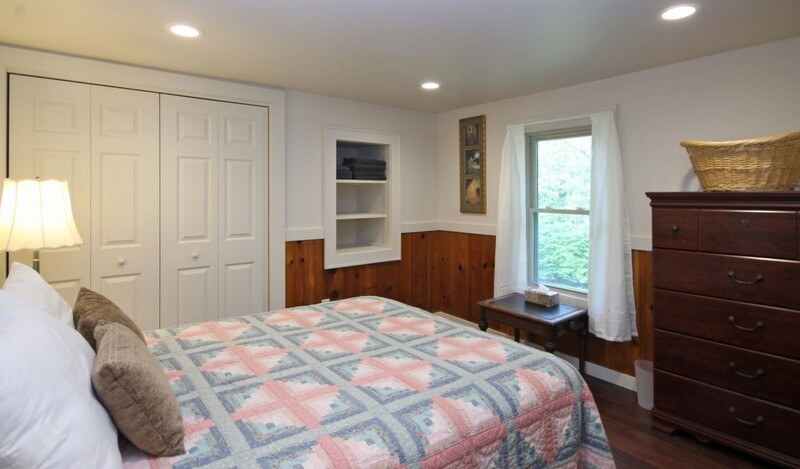 Here you can see the windows that provide lots of sunshine in the master bedroom. This picture shows the connection to the dining nook and the kitchen. Here you can see the TV, the fireplace and the built-in bookshelves. A great spot to relax. 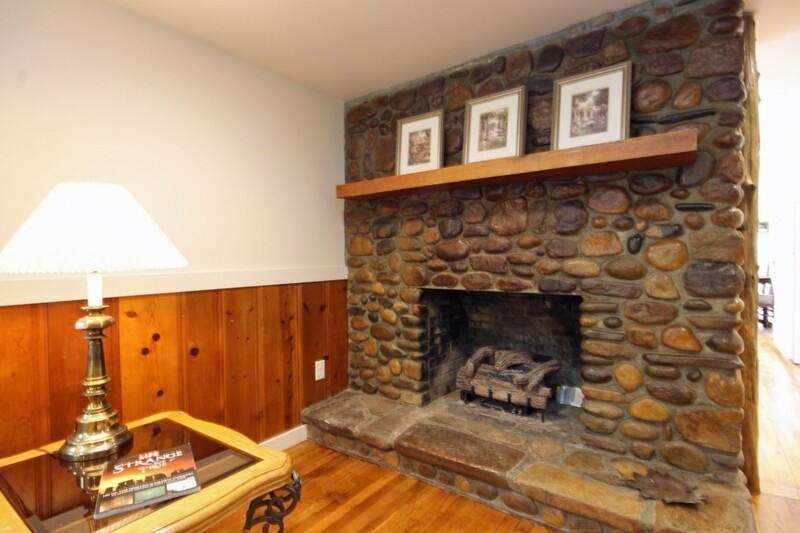 The hand built stone fireplace is the centerpiece of this home. It is out of service but lends lots of appeal. 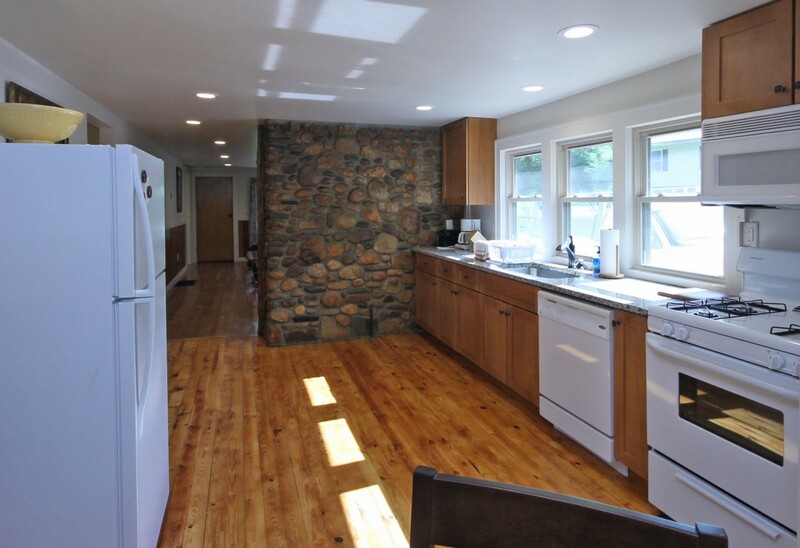 The kitchen features a row of windows that really let the sun in! This bright dining area is adjacent to the kitchen. Beautiful rhododendrons grace the outside of the home. BRAND NEW BEDS! After some feedback about the beds we decided to change them, and the new ones are ultra comfy! 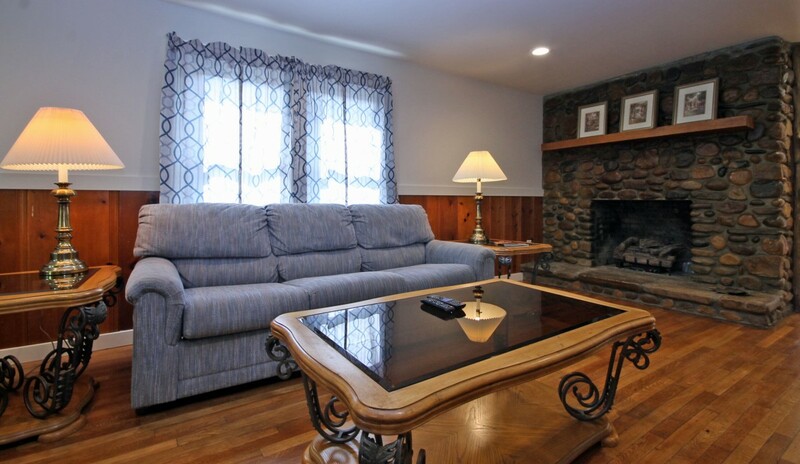 Come enjoy Brevard and relax in this beautiful private home. We love this place and in fact spent many years here while our kids were growing up. 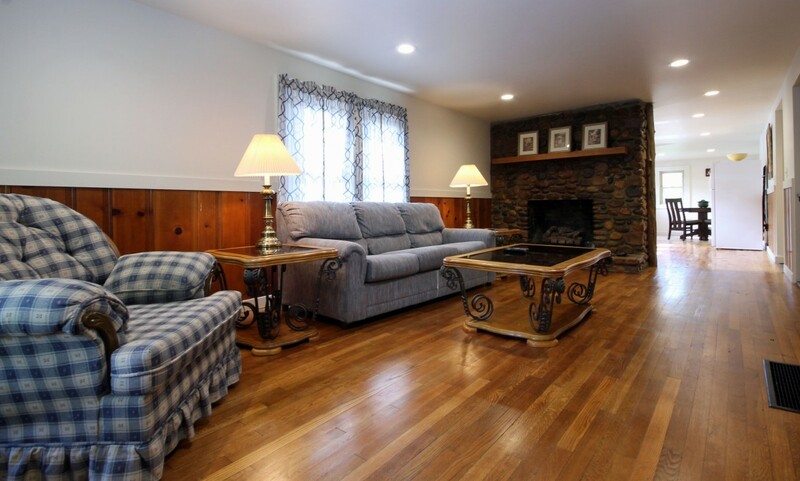 We have just finished a complete remodeling job and can't believe how well it turned out! The home is situated on a nice property with a big lawn in the front and plenty of parking around the back. 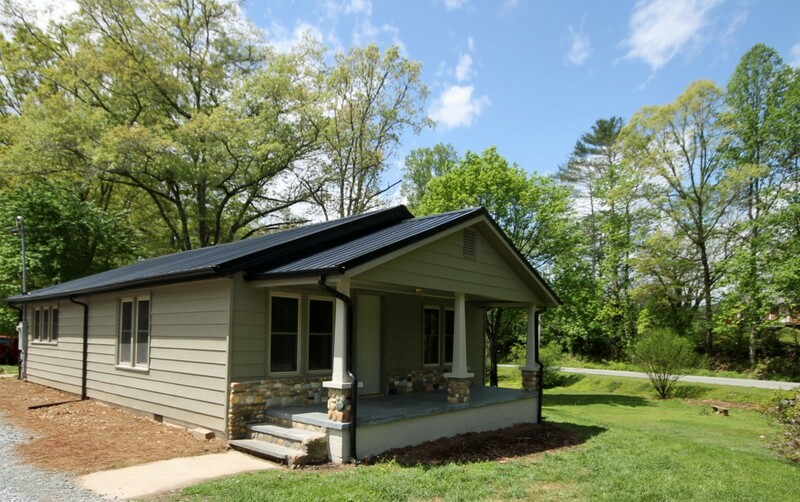 It's a peaceful country setting convenient to downtown Brevard, DuPont State Forest, Pisgah National Forest and Gorges State Park. The home features a beautiful hand built stone fireplace (out of service but lends lots of appeal), lots of windows to let the sun shine in, and all new furniture, fixtures and appliances. The bedrooms are cozy and private. 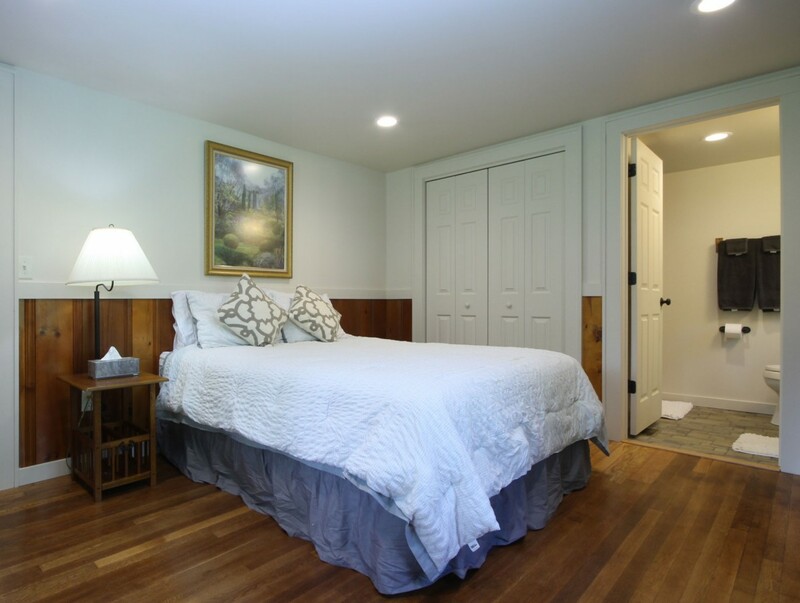 The master suite includes an adjacent bathroom for privacy, and we love the tiled walk-in shower. The home is located a short drive from downtown Brevard, where you can check out the shopping, dining and scenery as you walk down Main Street. Be sure to check out The Proper Pot, a great kitchen store that also sells wine, cheese and other yummy snacks. Another favorite is Main Street Ltd., a great gift shop right next to Quotations Cafe which is known for the occasional patronage of Steve Martin, a seasonal Brevard resident. Of course, Brevard is home to the renowned Brevard Music Center, and is also host to annual festivals including the White Squirrel Festival every Memorial Day Weekend, great 4th of July festivals, the Mountain Song Festival every September, and lots of fun activities on Halloween (Brevard is in Transylvania County, after all). Be sure to check out the event calendar for the Porter Center, which is the performing arts venue for Brevard College. We are close to the Brevard Music Center, home of the Mountain Song Festival and many other exciting musical events throughout the season. You can get to Pisgah National Forest and DuPont State Forest in about ten minutes, and it takes about 20 minutes to get to the beautiful Gorges State Park. Asheville and Hendersonville are both about 40 minutes away, and both feature lots of attractions if you want to take a day trip or two. Our property is managed by Pete Key Properties, who manage lots of rentals in the area. They are here to help if you need anything. If you bring pets, please note that the main road in the front of the house is busy. We ask that you keep pets crated if you must leave them in the house while you are away, thanks. We thoroughly enjoyed our stay at this rental home. 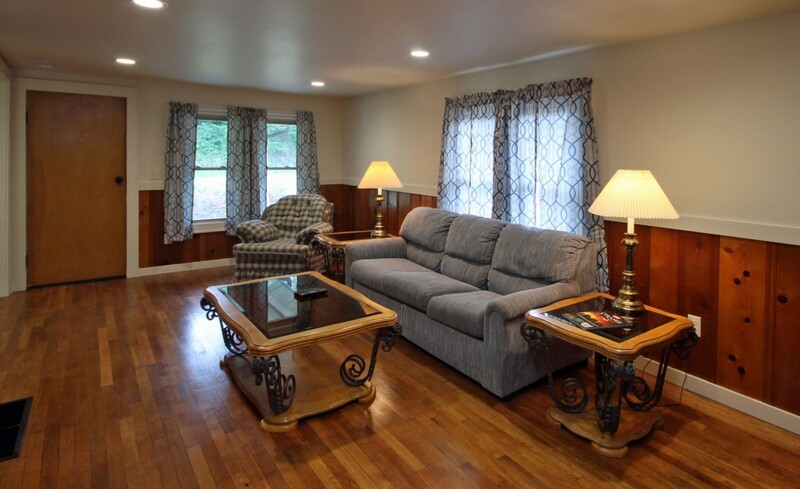 The home is beautifully renovated and spotless, and it is very comfortable. Customer service was excellent as well-the best we’ve experienced in our many trips to Brevard. We can’t wait to come back and stay here again. We appreciate you renting the house and are so glad that you had a good stay. This house was perfect for the three of us and our dog. The house was spotless and inviting and honestly perfect. The owner stopped by to say hi and help us with the stove and was extremely nice. He even followed up with a very nice phone call after our stay. I'd definitely stay here again and recommend it for groups of two to four people. We are so glad that you loved the house and enjoyed your stay. We hope that you can come stay again. Although our weather was terrible and it rained the entire time, we enjoyed the house and everything it had in it. The house was well-furnished and well-stocked. So sorry that you had rainy weather during your stay. We hope you can come back again and have some sunshine and enjoy the outdoors. We love this house ! Very clean and huge nice shower. Definitely will be back . Great location! We love this house and location. This is 2nd time we have stayed at this house. Its exactly the way its described in the VRBO ad. Its perfect for a quiet & restful vacation. Thank you for staying with us again. It was a pleasure to host your stay. Nice and relaxing. Beds were comfortable and towels were thick and soft. Would definitely stay here again. Thank you for renting we look forward to hosting your stay again. Very nice house that was perfectly sized for 4 of us. Clean, comfortable, charming house. Great location for mountain biking being near Dupont and Pisgah. We are glad that you enjoyed your time at the house and mountain biking in the area. We hope you can come back again. The rental was almost perfect. The only problem we had was the bed was a little harder than we are used to but would highly recommend. We are glad that you enjoyed your stay at the house. We find that beds are so subjective some guests prefer a more firm mattress and others prefer it to be softer. Great little home. Clean and close to all that Brevard has to offer. 20+ waterfalls within a quick drive. We loved our stay and would want to come back to this exact home if we were coming back to Brevard. We are so happy that you enjoyed the house and Brevard. We hope that you can come back. Loved my stay! Great fireplace, Smart TV with cable, decor, updated baths and kitchen! Got immediate response and House Call when I couldn't work the fireplace. Changed my dates and got no penalty. Lovely people: Booking Agent, Owner and Housekeeper. We are so glad that you enjoyed your stay. Thank you for renting. Elizabeth and her husband were very nice and accommodating. The house is very comfortable and warm. It is located close to stores, resturants, and destinations. It was a great home away from home. I would definetly recommend this location. A couple of small suggestions to consider: for the thermostat, extend the morning programming time. In the master bedroom, if space allows, a larger bed. It was small for two adults, but they were very comfortable. We appreciate you staying and are glad that you enjoyed your stay. Thank you for your feedback we extended the schedule on the thermostat. I loved the home. My only suggestion would be would be to leave directions on how to re-set the thermostat. The house was 55 degrees when we got there. I of course tuned it on but it was set on a schedule. At 8:00 pm it tuned off and then again at 5:45 AM. The evening we were able to turn it back up, but we weren't up at 5:45 am when it was scheduled to cut off. When we got up it was very cold because the temp Saturday morning was about 27. We are so sorry that the house was cold on your arrival and that it was set on such an inconvenient schedule. We spoke to the owner and he has fixed that. We were pleased with the unit. It could have been better with more detailed instructions about using the tv, thermostat, and lock box for the keys. Thank you for renting the house. We send out a welcome letter to all our guests with detailed instructions. We encourage guests to please reach out with any questions or trouble they may have during their stay so we can be of assistance right away. The house is completely redone and updated. It was very clean and all the fixtures and appliances were brand new. 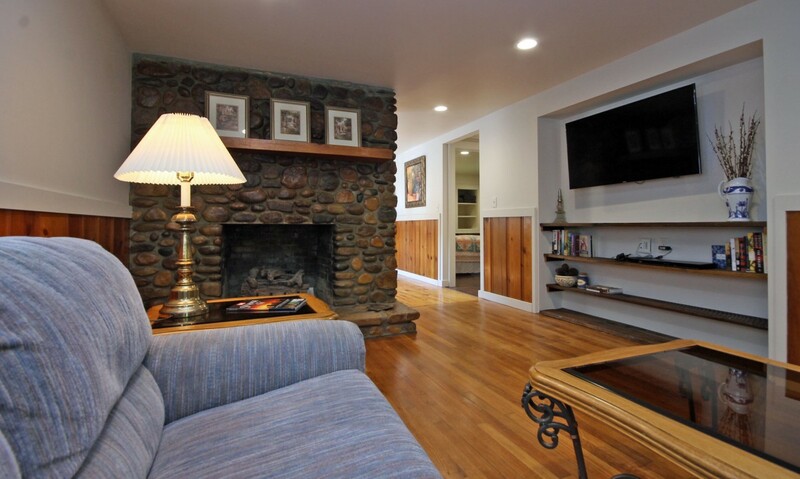 The hardwood floors are beautiful and the fireplace is amazing with all the river rock. The kids had a blast running back and forth through the long house. The house is the first one on the right after you turn onto Otto Alexander. Yes, Otto Alexander has a less than than desirable neighborhood farther down the street, but don't let that scare you off. We had no problems and never felt threatened. It is a mountain house. We would stay there again. 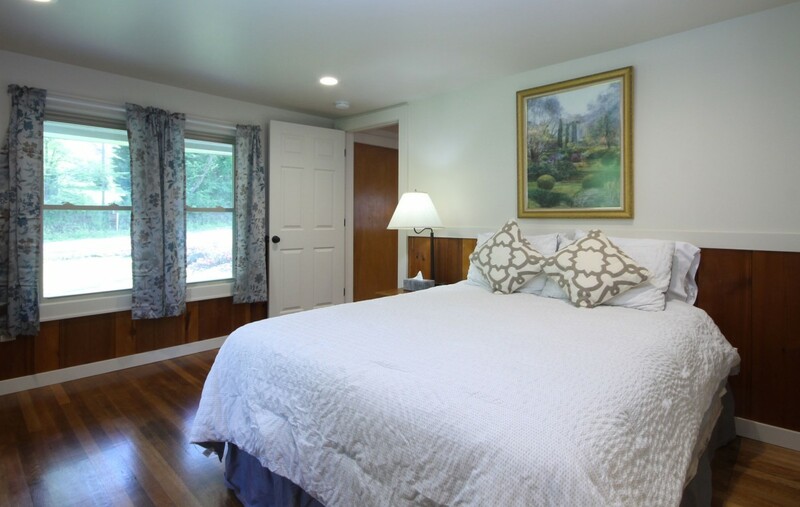 It is convenient to downtown Brevard and getting out to Horsepasture River. Thank you for staying at the house. We are so glad that you and your children all enjoyed the house! Loved the location, the cleanliness of the property and what a beautiful time of year to be in WNC! Strongly recommend to anyone from singles, to two couples or small families ..... and white squirrels in the trees around the property to boot! We love to read happy reviews like this from our guests. 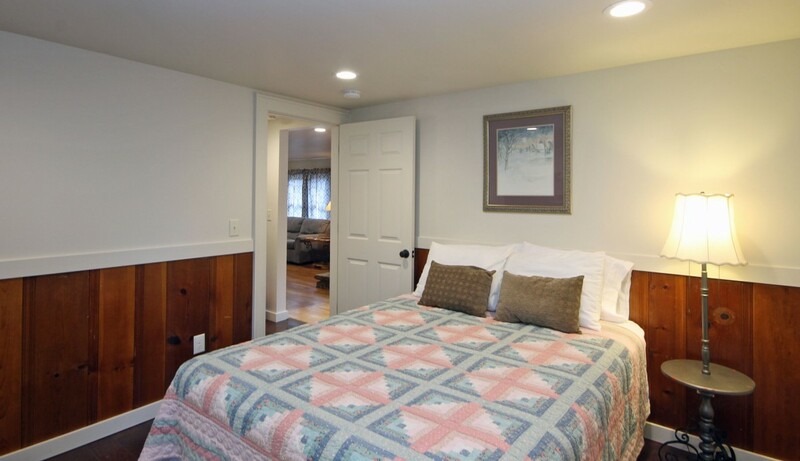 We strive to provide clean and comfortable homes for our guest. Very nice place to stay and very accommodating. 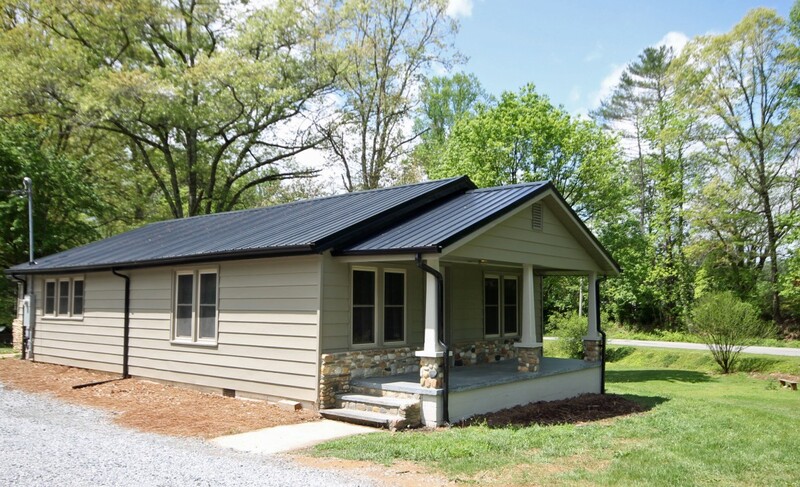 Close to town and right in between DuPont forest and pisgah forest. Highly recommended. We appreciate you renting the house and are so glad that you enjoyed your stay! if you intend on watching TV forget it. They have TV with the cheapest dish subscription. Could use more pots and pans. It was very clean which is a plus. I would be wary of using the fireplace it is not vented. All in all we were happy with the location, the cleanliness of the cottage. A little introduction brochure would be helpful as to its disposing the trash, use of fireplace and TV and dish. If you have a vehicle that's low to the ground you may have trouble getting out or in some of the entrances and scrape bottom. There is room for improvement. Enjoyed our midweek stay of 3 nights at this nicely renovated home. Room sizes were good, furnishings comfortable, and kitchenware sufficient. Two home improvements for future consideration that would be helpful pertain to 3 kitchen windows facing the yard that don't have any curtains or blinds; and there is no outdoor grill although there was a bag of charcoal. Thank you for staying and for your suggested improvements. We have added blinds to the three kitchen windows for added privacy. We hope you can come stay with us again soon. Perfect size and location for our family of four. Very nice upgrades in kitchen and baths. Essentials were provided which was a nice surprise (linens, toilet paper, paper towels). VERY clean and tidy. My only suggestion would be to update the furniture. Will definitely stay here again on the next trip to Brevard! Thank you! Thank you for renting! We hope you and your family can come stay again soon. We had a lovely long weekend in Brevard. The cottage was wonderful! It was extremely clean, well stocked and in the perfect location. We would definitely stay here again. So happy that you enjoyed your stay. Thank you for renting. We were in town for a wedding and decided to try and find somewhere other than a hotel. So glad we did. The cabin was absolutely wonderful. Totally renovated house, everything was very comfortable. It is a short (5 -10 min) drive to downtown Brevard. In response to other reviews, the owner was there when we arrived, installing new blinds on the kitchen windows. The house was spotless, well equipped with everything we needed. I will be sure to rent again when we come to visit with family. We truly appreciate you renting the house. We are so glad that you enjoyed your stay and look forward to having you stay again in the future. We stayed here for four nights and loved it! Not far from downtown Brevard (5-10min drive) and all the basic amenities that you want when renting a house vs. a hotel (fully stocked kitchen, washer/dryer, etc.). Home is newly renovated, so bathrooms and kitchen are updated. Everything was very clean and the owner even replaced the couch during our stay (not due to complaint from us, I guess they were planning on replacing it), so that's new now too. Only downside is mentioned in the other reviews - some curtains are definitely needed in the kitchen. We'll look to rent this place again when we come back to Brevard! It is always so nice to hear that a guest has truly enjoyed their stay.We look forward to having you stay again the next time you are in Brevard. 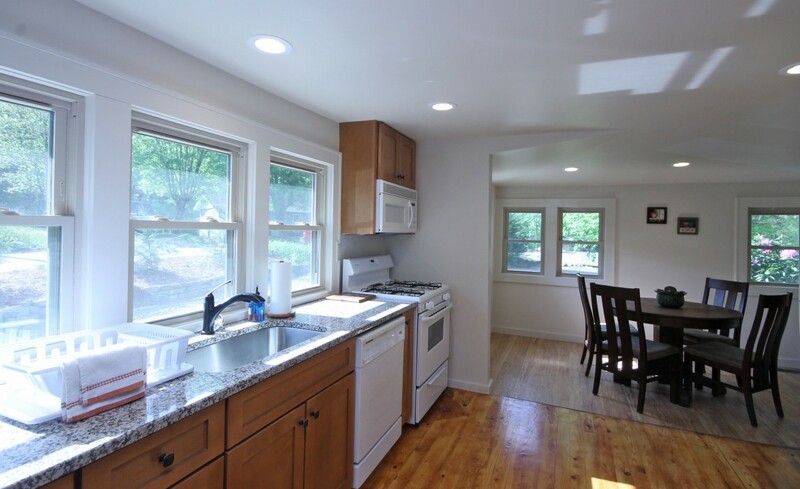 The owner put blinds up on the windows in the kitchen to offer more privacy. This cabin is nicely renovated. We enjoyed our stay at this little cabin. Every thing was very nice. Our only complaints were that the beds were not as comfortable as hoped. Also, Blinds or curtains in the kitchen would be nice. Other than that we enjoyed our stay and the home as well. We stayed for the weekend. 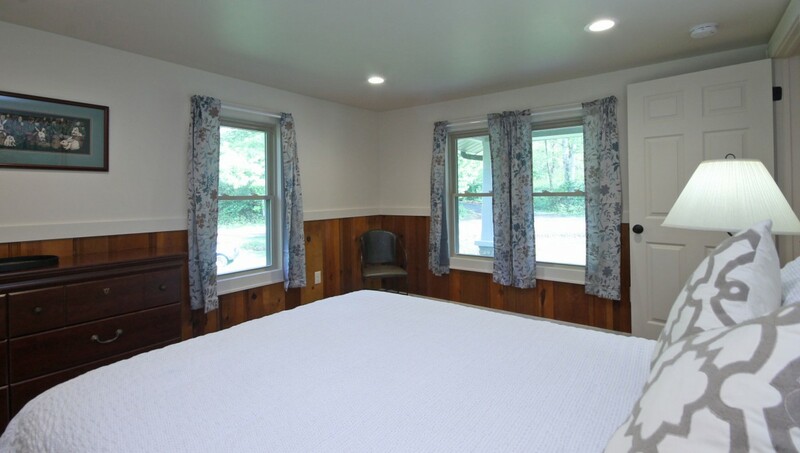 The cabin was quaint, clean and nicely renovated. The kitchen was adequately equipped. Curtains in the kitchen would be good considering it faces a surprisingly busy side road. We also suggest adding a dimmer switch to the living room lights--they are very bright. It was very convenient to have two full baths. Thanks for a comfortable, welcoming stay. This is a new rental and it is always nice to hear the guests feedback. Thank you for renting the house. Great convenient location. The place was spotless and had all the amenities. It was very convenient on the south end of Brevard and easy to get to. I do recommend 2 items. 1. get some curtains or blinds in the kitchen. There is no privacy there. So If you step out of one bathroom anybody can see you. 2. Doors need deadbolts. Something for some added security would be great. Other than that, a great single floor location which is great for kids. Thank you for renting the house as well as for the helpful feedback. We are always improving our rentals and guests feedback is so greatly appreciated in providing the best experience possible. Thank you for renting the house . We are glad it was a good fit for your family. MY husband and I along with our dog had a fantastic visit to this property. It is cozy, cmfortable, roomy, and clean. Great Location. We will be back! We look forward to having you back and are so glad that you had a lovely stay. This property is located in a nice and quiet housing area off the main road - very quick and easy to get to Brevard. 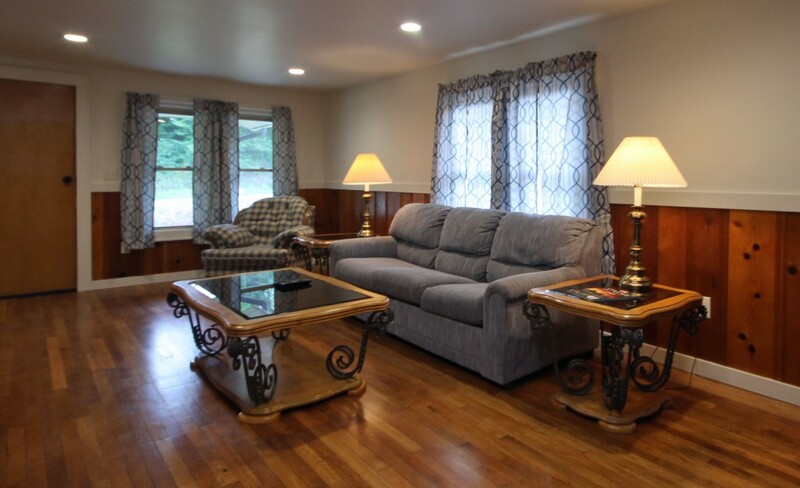 It was clean and beautifully remodeled with everything you need and more. The four of us had ample room to spread out. Kitchen is fully stocked with housewares, stove, fridge and dishwasher. Living room has a nice flat screen TV. 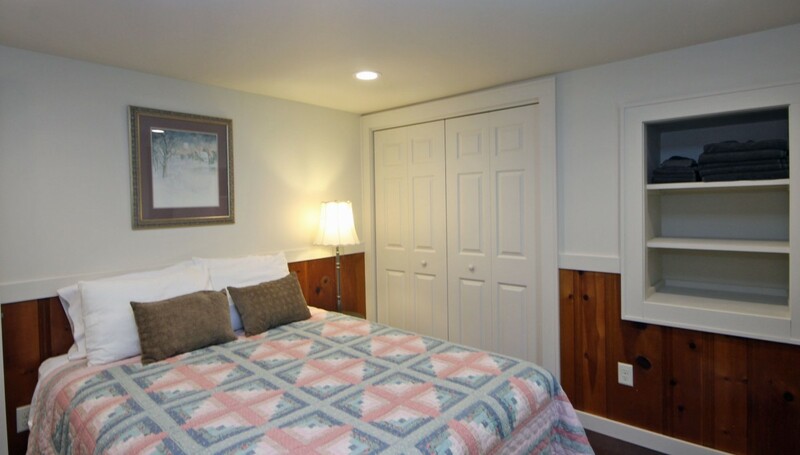 Two bedrooms each have a very comfortable queen bed and a bathroom. Master shower is beautifully done and was a favorite for all four of us! There is even a stack washer/dryer. We also enjoyed seeing the bunnies and white squirrels in the yard. So much nicer than staying in a hotel! This is a new rental for us and it is so great to hear that you had a lovely time at the house. Thank you for staying!